The problem is that, thanks to years of dedicated lobbying by the National Rifle Association, “existing laws” are simply inadequate. The existing laws in Colorado likely allowed the shooter, James Holmes, to obtain these guns—including an assault weapon—with ease. If Holmes bought the guns in Colorado, he did not have to register them. The state prohibits gun registration. 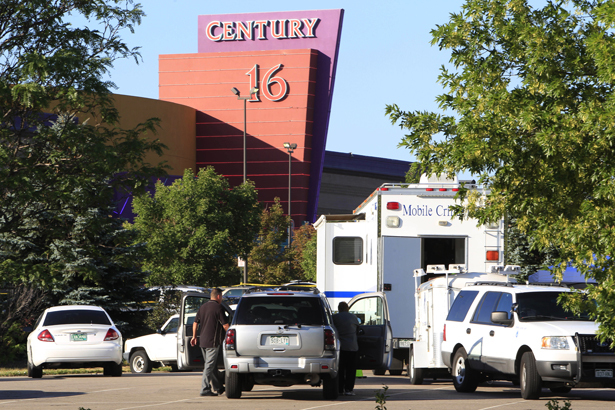 Holmes reportedly drove up to the movie theater with his arsenal. That too was entirely legal in Colorado—as long as the guns are visible, you don’t need a permit. Permits are only required for concealed carry. The assault weapons ban that expired under George W. Bush allowed Holmes to purchase the high-powered weapon that he reportedly used, an AR-15. President Obama campaigned on renewing the ban, but quickly dropped it from his agenda and “won’t even talk about” renewing it. If Aurora had decided prior to this shooting that it wanted to enact tougher gun control laws, it wouldn’t have been allowed to. Since 2003 it has been expressly illegal for any local government or law enforcement agency in Colorado to “enact an ordinance, regulation or other law that prohibits the sale, purchase or possession of a firearm that a person may lawfully sell, purchase or possess under state or federal law.” (Nearby Denver has been contesting this law in court). Holmes was arrested with an assault rifle, a shotgun, and two pistols. But authorities could have never noticed he was stockpiling weapons during his short time in Colorado, because it is prohibited for any law enforcement in the state to build databases of gun buyers or gun owners. If Holmes bought the guns outside Colorado, there are no laws restricting bringing them into Colorado. It could have been even worse—Republican state legislators have been pushing to allow the state Insta-check background system for gun buyers to expire. (They actually succeeded at this in 1999, and not long after a man purchased a 9mm gun despite an active restraining order against him by his wife, which would have otherwise disqualified his purchase. He used the gun to kill the couple’s three young daughters. The system was quickly re-instated). As is typical, the NRA and other gun groups are largely responsible for funding the rollback. Since 1994, NRA Victory Fund has contributed $332,001.22 to Colorado state candidates. Since 2004, Gun Owners of America have contributed $75,847.83 to Colorado state candidates and since 2007, Pikes Peak Firearms Club has given $6,408 to Colorado state candidates. These groups are actively and successfully changing “existing laws” to make it easy to purchase an arsenal of deadly weapons. The White House is apparently not interested in combating that campaign but only in ensuring the ever-weakening “existing laws” are enforced. Lee Fang and Soumya Karlamangla contributed research to this report. It has been updated occasionally to reflect evolving news about the shooting.